Too often in our experience we’ve seen conflict created or exacerbated in divorce cases when couples are working against each other rather than toward common goals. This is not to say this is always the case, but as mediators, we look at the process of divorce in an entirely different light to find solutions that can work for both parties. 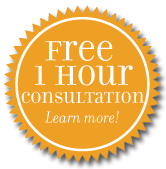 Whether you currently have attorneys, or are looking to go through the divorce process without one, Johnson Mediation should be your first call.We offer a free consultation where we can sit down with you to discuss your needs and come up with a plan that accomplishes your goals. How is Johnson Mediation Different? Jeff has worked for many years to develop a system that is easily repeatable and has allowed him to perform a large number of divorces while still providing a high level of service and compassion to his clients. Interested in Learning More About the Divorce Mediation Process?